As early as 250-600 AD, the Maya city of Palenque in Mexico devised the world’s first pressurized water system, found an archaeologist and a hydrologist. 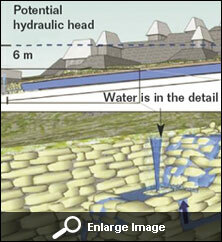 With not much land for urban space, the Mayans routed spring-fed streams via pressurized aqueducts under the ground to meet the city’s water needs. The duo inspected one such aqueduct, Piedras Bolas, which was located on high ground. 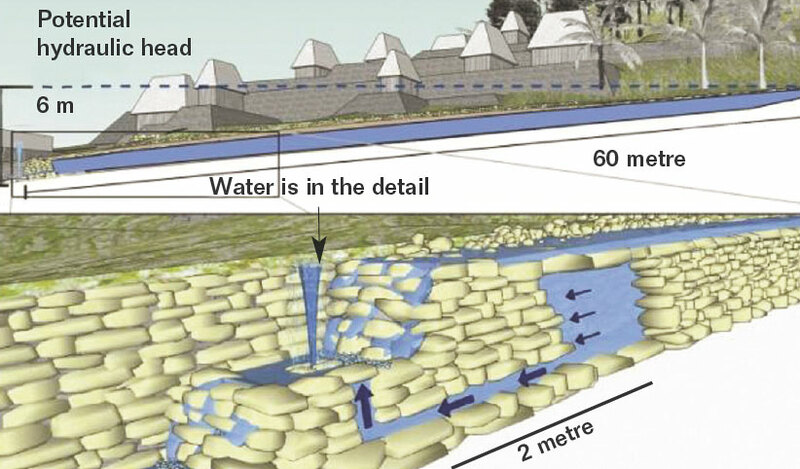 From the entrance of the spring-fed tunnel to the outlet the water fell 6.096 m and the cross-section of the outlet decreased by 0.883 square metres thus ensuring an increased pressure of water flow. While scientists are breaking their backs over maximizing efficiency of solar cell technology, the most primitive life form is doing so on its own. The purple bacterium harvests solar energy for food. Its cellular apparatus has a funnel to capture and direct photons to the reaction centre (RC) which converts light to chemical energy. The bacterium keeps changing the design of RCs to ensure maximum utilization balanced with least damage from an oversupply of protons. 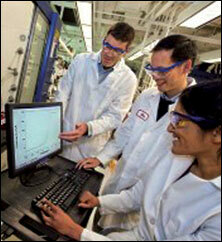 For scientists looking to enrich solar panels, purple is the answer. 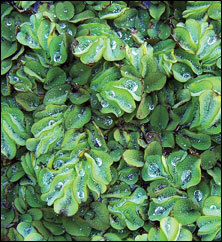 To bring down the heavy fuel consumption of ships, there is help from unexpected quarters—the water fern (Salvinia molesta). This plant has hydrophobic leaves with hair that maintain a flimsy skirt of air all around the plant. The skirt stays intact even if the fern was submerged in water for weeks. This Salvinia effect can be mimicked to create fuel-efficient ships. The fuel consumption of such vessels would decrease by 10 per cent owing to minimized friction of the hull with water. Hydrogen is probably the best fuel the world could use. There is nothing cleaner than fuel generated from water. The problem, though, is in its conversion and not its availability—hydrogen is the most abundant element in the universe. But it is exorbitantly costly, difficult to produce, handle and store. A team has stepped in with a solution to the cost factor: a molybdenum-oxo complex as a catalyst “70 times cheaper than platinum” that is currently used to split water molecules. It does not require organic additives like most other catalysts. 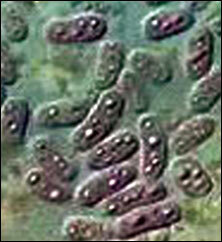 It can even work on dirty water or seawater—a natural electrolyte and the most abundant source of hydrogen. Scientists who plan to reintroduce the bald eagle—wiped out from usa by ddt in the 1960s—to the Channel Islands in usa find that reintroducing a species into the food web can be tricky. After analyzing eagle remains dating back 30,000 years they concluded the bird adapts to a changing diet easily. Earlier it fed on seabirds which shifted to sheep carrion when humans colonized the island in the 1840s. But there is no sheep there today. 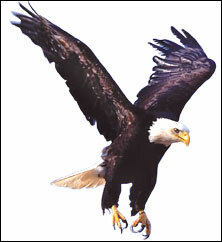 The eagle might prey on seabirds, seals, sea lions and the island fox. The trouble is seabirds are threatened, the island fox is endangered and seals and sea lions are contaminated with pollutants. Using mathematical models and data from different marine populations, researchers found a new fact on mussel life: the six-centimetre-long shelled creature can communicate across thousands of kilometres. 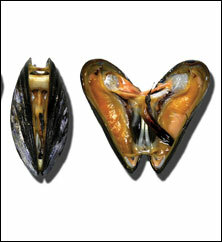 When these mussels release larvae or die, species living at a completely different region of the coast can come to know of it. This is because the messages are relayed by one population to the other. This fact must change fishery management and conservation practices which focus only on the local areas where the animals are found. 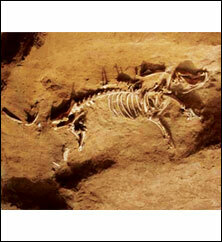 Pigs that lived in China 10,000 years ago are the direct ancestors of modern-day Chinese pigs. Scientists studied genes of 1,500 modern pigs and 18 ancient pigs across Europe and East Asia. Although ancient pigs were imported to Europe, they were replaced by pigs descended from wild boars. This did not happen in China despite the presence of genetically distinct wild boar populations. The domesticated pigs in East Asia then migrated south and east with people to Hawaii, Tahiti and Fiji. When the Herpes virus attacks, its mi rnas undertake double duty, found scientists. When a cell has to produce a protein, the dna unzips, a messenger rna (mrna) mirrors one of its strands for protein codes. Micro rnas (mirnas) sometimes attach to portions of mrnas, not allowing those parts to code for the protein. This is a regulatory mechanism which the virus takes advantage of. Viral mirnas regulate viral genes and also latch on to the immune cell’s mrnas disallowing formation of anti-viral proteins. Catches had peaked in 1937 which was 14 times higher than in 2007. In all, the availability of bottom-sea fish has fallen 94 per cent within a century. Fishers see 500 less landings of the halibut fish. The haddock has declined more than 100 times. 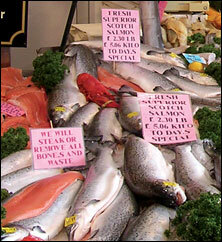 Plaice, woffish, hake and ling have declined more than 20 times. When a nation has more money or is rich in resources, it has more access to state-of-the-art technology for its development. This is the theory underlying a successful or a growing economy. 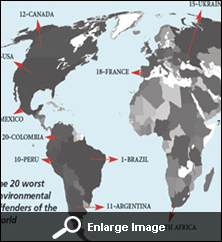 But a study that ranked the 20 worst environmental performers in the world found no support for it. 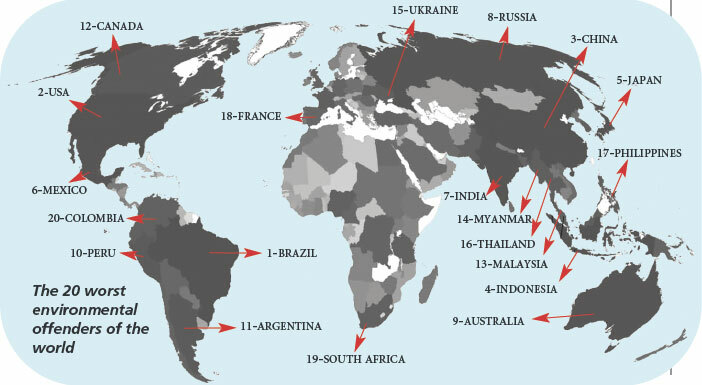 Using indicators like forest cover, species threat, fisheries, marine conservation, fertilizer use, water, air and soil pollution markers including carbon emissions, the worst offender was Brazil followed by usa and China.